Balancing, relaxing and soothing.. During the medieval period in England, the herb Valerian was known as ‘all heal’ because of the wide range of physical and emotional conditions it was recommended for. Due to its musky and earthy fragrance, in modern times we find that Valerian Essential Oil is rarely used alone and usually blended with other oils that have a more pleasant fragrance to mask its pungent aroma. That said, Valerian Essential Oil can often bring results where other oils have failed. It has an affinity with the central nervous system and was used during the First and Second World Wars in treatments for shell shock and nervous stress. Its powerful relaxing properties make it an excellent choice to subdue over-excitability and restlessness, as well as to help get a good nights sleep. 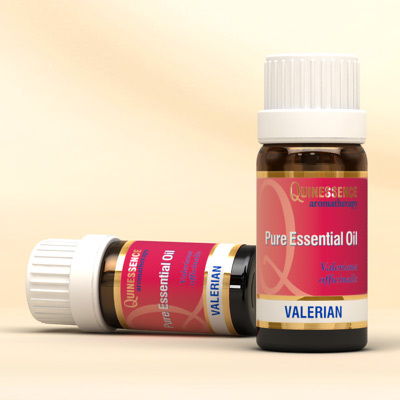 Valerian Essential Oil also has antispasmodic properties that help ease muscle cramps and digestive disorders when it is used in massage blends. Blend it with other soothing oils such as German or Roman chamomile and sweet marjoram to create an effective synergy without the overshadowing aroma of valerian.